theartdept loves to work with communities on exciting and innovative art projects. We are happy to discuss any ideas you may have and generate the ‘big idea’ for your community art project. Don't hesitate to contact us to explore ideas for your own project. theartdept continues to generate ideas for new community art projects – check out our upcoming projects on our Facebook page. 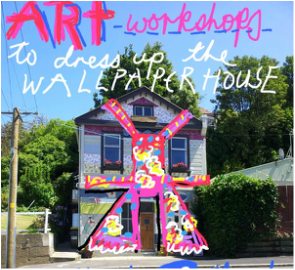 Linked with Dunedin ID Fashion Week, the Art Dept initiated a programme of art workshops to dress the Wallpaper House in an apron. Artists from 18 months to 85 years were involved in the project, painting and collaging on domestic objects, which were installed to create a giant house-sized apron for the Wallpaper House to wear with pride in Lees St. This public art installation for six months and was enjoyed by many passersby. See more at the Wallpaper House's Facebook page. ‘Spot Southland Project’ was a painting workshop held over a week during the Kidzone Festival in 2011. 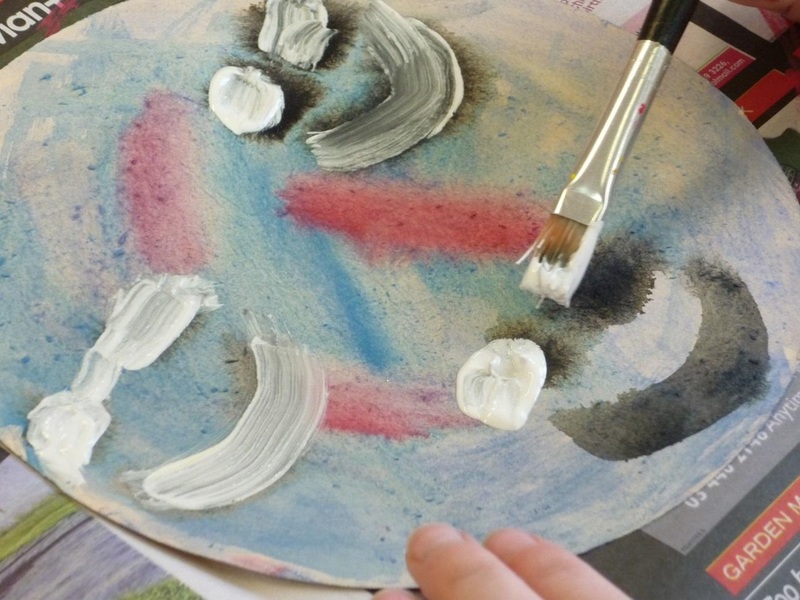 Over 7,000 people attended the festival and had the opportunity to paint, using the colours of Southland, circular postcards that were then sent all over Southland to “Spot” Southland.